"Dr. Emrani has been a blessing to our family. It's simple: he cares for his patients." "I am grateful for this kind of medical relationship. I couldn't ask for anything better." "I never leave Dr. Emrani's office with questions- they take the time to answer them all." "Dr. Emrani is the most caring, knowledgeable and insightful doctors I have come across." "I will confidently trust my health in this Doctor's hands." Dr. Afshine Emrani is a cardiologist and internist who serves the residents of Tarzana, California, in addition to the greater Los Angeles area. At Los Angeles Heart Specialists, the doctor and his staff offer a variety of cardiology services including preventative care for heart disease, stress testing, treadmill testing, and treatment of many different kinds of health conditions including high blood pressure, high cholesterol, diabetes, thyroid disorders, and peripheral arterial disease. Dr. Emrani specializes in identifying biomarkers and other naturally occurring identifiers that help him treat heart disease in both men and women. He offers a wide variety of services to his patients including weight management plans, the control and maintenance of cholesterol levels, and nutritional plans geared towards a more heart-healthy lifestyle. An on-site lab makes testing quick and cost-effective. Dr. Emrani attended the University of California, Los Angeles where he obtained his Bachelor of Science degree where he was inducted into the Biological Honors Society. He also attended the University of California, San Diego where he completed his medical degree. During that time, he participated in two sub-internships, one in Cardiology and the other in Intensive Care. He also worked at the Cedar Sinai Medical Center and completed an additional sub-internship infectious disease. An internship was also completed during the years he worked with the Veteran's Affairs Administration. While working at the Kaiser Permanente campus of the University of Southern California, Dr. Emrani earned a fellowship in the field of Cardiology. With over 16 years experience, Dr. Emrani is a leader in his field. His knowledge of cutting-edge technology and the use of state-of-the-art diagnostic equipment allows him the privilege of offering his patients the best cardiac care possible. He continues his education on a regular basis by attending classes and seminars that allow him to stay abreast of the latest advancements in the field of cardiology and infectious diseases. His certification in both basic and advanced cardiac life support makes him one of the most prominent cardiologists in Southern California. Sign up for Dr. Emrani's wellness letter... Her's a sample. Lifestyle modification keeps you healthy and reduces number and side effects of medications used. Want to keep up with what's new in our practice? Sign up here for our monthly news letter! At Los Angeles Heart Specialists with our integrative heart doctors, you will learn more about your health in one visit than you ever thought possible. Our comprehensive health evaluation enables you to make health and lifestyle decisions that will support your long-term wellness. Through preventive care and early diagnosis, we can help you address any undetected health issues—and give you the peace of mind that can only come with a thorough picture of your health. Your introductory visit will require the most in-depth health exam, to establish your complete health status and individual profile. Subsequent visits with us will include only those tests appropriate to your personal medical history—to ensure your optimal long-term health and well-being. We take pride in offering “concierge medicine” without the extra costs. Most urgent calls can be triaged and patients seen in a very timely manner. Whenever possible, we avoid invasive procedures as well as hospitalization. In fact, for the large volume of patients seen in our practice, we rarely admit to the hospital. This is the result of hard work and aggressive preventive measures that are oriented to keeping our patients healthy and independently functional. if you haven't had your annual physical yet, call or book an appointment today! Our physicals include comprehensive laboratory testing, lipid and nutritional analysis, pulmonary function testing, allergy testing, bone densitometry and more! If you are a CEO, CFO, or a very busy executive, then it is challenging for you to get your annual physical. At your convenience, LA Heart Specialists can provide you the full range of services on a cash basis - on Saturday or Sunday of your choice. The services include - the executive physical, comprehensive laboratory testing, lipid and nutritional analysis, pulmonary function testing, allergy testing, bone densitometry and a comprehensive cardiovascular stress test. Your time is valuable. But so is your health. That’s why The L.A.H.S Executive Physical offers an efficiently organized and comprehensive set of examinations in just one day. Your health status will be thoroughly evaluated to determine a preventive health care program tailored to your individual needs. Call now to schedule your Executive Physical. 818-996-4100. Referral for screening colonoscopy, mamography etc will be made as necessary. Busy executives, who face ever-increasing demands on their time, often find it difficult to take care of their health as conscientiously as they know they should. While it is well known that early detection of medical problems leads to better health outcomes, practicing good, preventive medicine can be a challenge when it means having to schedule multiple diagnostic exams and consultations. University Executive Physical Program was designed to offer executives comprehensive examinations with a full battery of diagnostic tests scheduled in a single, coordinated visit. Our patients enjoy a level of service and convenience not available in most other programs because we own the equipment used for most diagnostic tests — there’s no need to waste time waiting in other medical offices for these services. 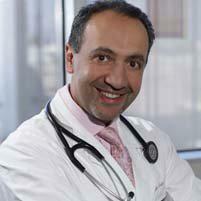 "Dr. Emrani is a doctor that goes over the top in advising what is best for you. It is because of Dr. Emrani's persistence and caring that I am at my best health." "I have never been so impressed with a doctor! I have seen so much improvement since my husband's visit. I am so glad that we finally found a doctor we can trust! "My family and I have been going to Dr. Emrani for years. He is one of the most knowledgeable doctor's I know. He is committed to providing the best healthcare." "Dr. Emrani and his entire team are extremely able. I am certain that I am receiving the very best care possible from Dr. Emrani. I can highly recommend this practice." "My personal and professional opinion of Dr. Emrani and his office staff could not be higher. I highly recommend Dr. Emrani and his staff to anyone in the area."